Birmingham will be without the suspended Che Adams when bottom-of-the-table Burton visit St Andrew's. Adams begins a three-match ban after he was shown a straight red card as the Blues won 1-0 at Bolton in midweek. Adams' absence leaves Birmingham short of attacking options and boss Garry Monk is keen to get Sam Gallagher back in contention as soon as possible. The on-loan Southampton striker has been struggling with a calf injury and he will be assessed again ahead of the game. Midfielder Craig Gardner could return to the squad following a hamstring problem as Monk's men look for a fourth straight victory to ease them further clear of the drop zone. Burton hope in-form winger Lloyd Dyer will be fit to play. The 35-year-old, who was born in Birmingham and had a loan spell at St Andrew's in 2015, is nursing a knock from the home draw against Middlesbrough on Monday. Dyer has set up two of Burton's last three goals and scored the other, so Albion boss Nigel Clough will be eager to have him available. Forward Lucas Akins (hamstring) is nearing a return and he will be assessed along with Darren Bent (illness) and Jacob Davenport. Birmingham beat Burton at St. Andrew's earlier this season, winning 1-0 in the FA Cup. The Brewers have a 100% Championship record against the Blues, winning all three of their league meetings. 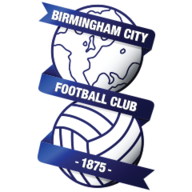 No Championship side is currently enjoying a longer winning run than the Blues (3) - they last won four consecutively in league competition back in October 2015. 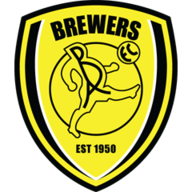 Burton are on the current longest winless run in the division, going seven games without a victory (D2 L5). Highlights of the Sky Bet Championship game between Burton and Middlesbrough. Both of Garry Monk's two previous home Championship meetings with Burton have ended in 2-0 wins, with Leeds in October 2016 and Middlesbrough in August 2017. Lloyd Dyer has scored in all three of his league appearances against Birmingham for the Brewers, scoring three goals. It was a tough start to life for Garry Monk with games against his former club Middlesbrough and then away at Cardiff, but since then they've had three eminently winnable games and won all of them without conceding a goal, which is all you can really do at this stage when you're trying to avoid relegation. We're heading towards last-chance saloon time for Burton. They're eight points off Birmingham and safety, and anything but a win here will surely leave them with too much to do in their last five games of the season. This, however, is a Blues win for me.